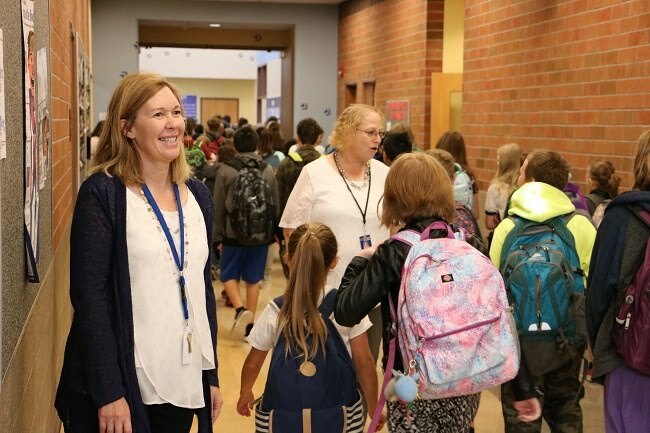 Each morning at Chief Umtuch Middle School, arriving students are greeted by smiling and enthusiastic staff members who are busy doling out high fives, hellos and good mornings left and right. 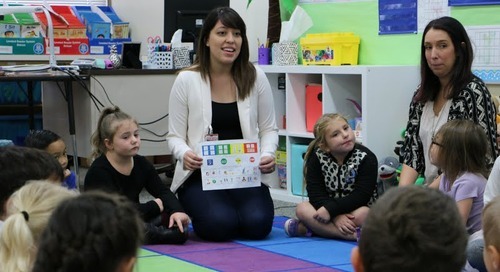 While it’s a small gesture, Chief’s leadership team knows that when students have positive interactions like these with teachers and staff, children feel better about school–and about themselves. The morning welcome is just one of the ways that the school is ensuring that all students feel supported while they’re at school, and that they fully benefit from their education by building a habit of consistent school attendance. The staff at Chief Umtuch has always kept track of attendance figures, but this year they’ve launched several new attendance and support programs to provide encouragement, resources, and when necessary, intervention,to help students get to class regularly and on time. Each grade level at the school has a designated attendance advocate called CHAMPS (Collaborative, Holistic Attendance Mentoring for Pupil Success). The CHAMPS advocates help track daily attendance and communicate with parents to understand why a student is absent or chronically late. The advocates help identify challenges that families may be facing and seek to match them with available supports to help them overcome barriers preventing consistent attendance. The CHAMPS advocates also serve as a primary point of communication for families of students who need attendance support. Using funds that were donated by the Battle Ground Education Foundation, Chief Umtuch has outfitted a Welcome Room with school supplies, food, clothing and other items that are available to assist students who don’t have what they need. The Welcome Room also serves as the epicenter of the school’s attendance support programs. Students with chronic tardiness issues participate in the school's Pit Stop program by checking into the Welcome Room when they arrive on campus. On time students check in on a chart. If a student is late, an advocate is there to greet them, find out why they’re late, and ask if they need additional supports. Once a student arrives on time for 10 consecutive days, they may exit the program but can still visit the Welcome Room anytime. If a student is struggling academically, parents or students can ask to be in the Check-In/Check-Out support program. 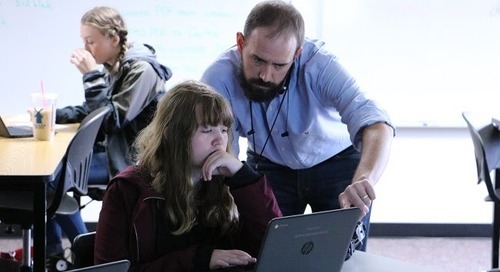 Advocates in the Welcome Room are available to help students print missing homework and assignments and act as a liaison between students, teachers and parents. If a student drops below 80 percent attendance, a parent meeting is called that includes teachers, counselors, administrators, or a prevention intervention specialist to devise a support plan.